LIFETIME WARRANTY ON THIS LIKE NEW 2017 TOYOTA TUNDRA DOUBLE CAB 4X4!! 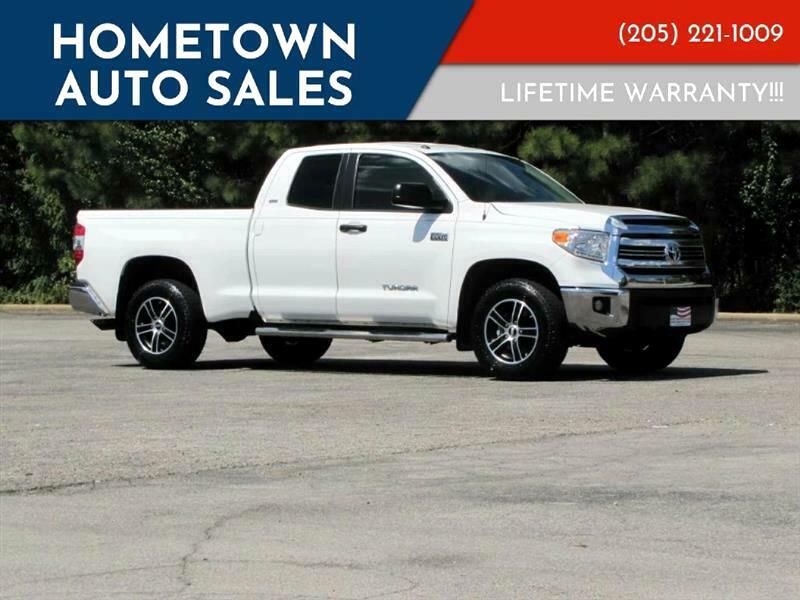 READ CAREFULLY: THIS LIKE NEW HARD LOADED 2017 TOYOTA TUNDRA DOUBLE CAB SR5 4X4 COMES WITH A LIFETIME ENGINE TRANSMISSION AND FULL POWERTRAIN WARRANTY AT ZERO COST TO YOU!! THAT INCLUDES THE 4 WHEEL DRIVE!! Talk about the REAL DEAL!!! Take a hard look at this nearly new 2017 Toyota Tundra Double Cab 4x4 that just arrived here at Hometown. One Owner local Tundra that still smells new. This Tundra is equipped too with sprayed in bedliner, backup camera, step rails, and much much more. This Tundra drives and rides perfect in town and out on the road. Powered by the unrivaled 5.7 V8 so you've got all the power you will ever need while getting decent fuel mileage too. Clean Carfax so you can buy with complete and total confidence. Speaking of clean, this Tundra is spotless. Make the short drive to Hometown and take this truck for a test drive today. We offer bank and credit union financing, so you can drive this Tundra 4x4 home today. Also, for that added peace of mind, remember this: THIS ONE OWNER 2017 TOYOTA TUNDRA DOUBLE CAB 4X4 COMES WITH A LIFETIME ENGINE AND TRANSMISSION WARRANTY AT ZERO COST TO YOU!! NOT A 30 60 OR 90 DAY WARRANTY...... A LIFETIME!! Call JJ at 205 471 2112 or Ed at 205 275 9754. You can reach the office at 205 221 1009. Thanks! !